When parents separate or divorce, where each party live and with whom the children live will largely depend on the outcome of any subsequent financial negotiations and also discussions with regards to the children arrangements, if necessary. In some cases, the family home may be sold and the main resident parent will look at moving with the children. The move may mean the children remain in a similar area to that which the family home was located or it may mean a move further afield. Any move can go forwards on an agreed basis between the parents and it is extremely important that the main resident parent obtains the agreement of the non-resident parent if they have Parental Responsibility or at least provide them with notification of their intention to move. If the non-resident parent is not in agreement with the proposed move, they will be able to make an application to the Court to prevent such a move from taking place. If the move means a change in schools, both parents need to be involved in deciding on the schools and have an opportunity to meet with the teachers and go around to have a look. If the non-resident parent refuses to provide an agreement, it would be advisable to make an application to the Court for permission to move your children. Consider the local area and the schools that are available. You will be able to ask for recent Ofsted reports and attend the schools to have a look around. Even if your children are not of school age it is important that consideration is given to this. 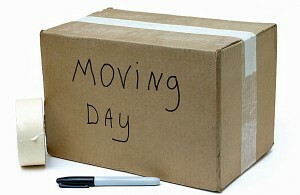 Is it the correct time in your children’s education to move? If your children are in the middle of studying for important exams such as GCSEs or if they are coming to the end of Year 6, the natural time for the move to take place would be outside of the time period of important exams and also when they would be looking at moving up to a new school in any event. Whilst a divorce or separation cannot be timed in line with your children’s education, it is important that a move is to cause as little disruption as possible. How far away is the new locality from the non-resident parent? A Court will need to consider whether a move will impact on the children’s contact with their non-resident parent and if so, the contact that would be proposed in order to minimise such impact.